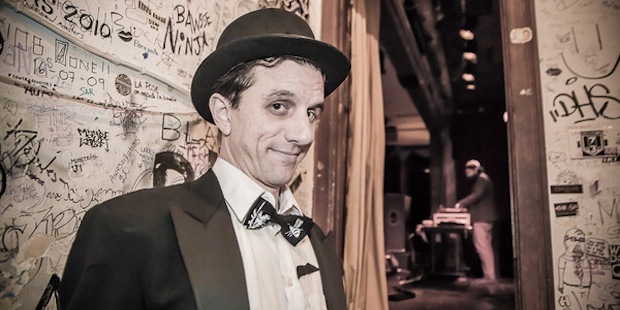 DJ Eliazar is doing excellent work in spreading the word about Electro-swing music – and don’t we just love him for it! This week we’re got features on two very interesting international record labels-ish as well as a great selection of fine music from Germany, Colorado, Japan, Mexico City, Australia, Montreal, Athens and LA. He was voted “Best Electro Swing DJ Live Act” in the Electro Swing Awards 2012. Together with guest musician MSP, who fascinates through his expressive Live-Sax performances, Sound Nomaden creates a perfect symbiosis between Live and DJ-Set, between old and new. The first of a short set of tracks from the Emerald and Doreen label in Germany. I don’t have much information about Svndaze although on the Facebook page, there is an indication that the project is over and he’s moving on to something new. 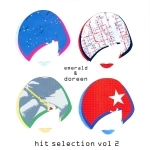 Emerald & Doreen Recordings is a German record label for futuristic indie, chill & dance music, curated by Eric Schemer, Markus Schneider and Stefan Maurer. Emerald & Doreen Records is also the renowned eclectic label for (retro-)futuristic music, celebrates its second year of existence with a blasting “Hit Selection Vol.2”, a pack stuffed with future classics from up and coming new artists and some well-known heroes: Copycat, Future Feelings, Woolfy, Artenvielfalt, Vijay & Sofia Zlatko, Kaito, Acid Washed, Iñigo Vontier, Florian Paetzold, Auxiliary Tha Masterfader, The Lonely Smoker, go nogo, Statickman, SpAceLex and many more. This essential label compendium features some of their mos t popular, interesting and successful tracks released in 2013, out of a total of more than 130 originals and remixes. “Hit Selection Vol.2” is a perfect set of great new music for the open-minded electronic music lover, made by artists from all over the world: Germany, France, Spain, Netherlands, Belgium, Sweden, UK, USA, Russia, Mexico, Chile and Japan. 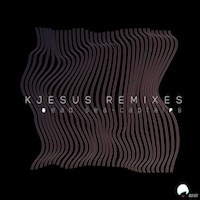 The label’s eclecticism is perfectly mirrored in the track selection: it covers NuDisco/IndieDance, Deep House, Retro Synth, Chillwave, Glo-Fi, Dub Techno, Indie and Post-Dubstep tracks. 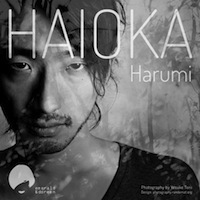 After his great artistic and public access of his first release “Blowin` In The Wind Of Love“, Shintaro Haioka offers a sudden retasting of his old Japan and new world mixery. With his “Harumi“ EP, this experienced electronic producer circles around various themes of human evolution. Harumi Shibukawa gave name to the EP and the first track, “Harumi“ invented the Japanese calendar back in 1685. In the track, Haioka again combines the Japanese classical instruments such as the hyōshigi percussions or the koto zither with contemporary sound processing and effects. The result is even greater than before. Check out the new release on Beatport. All music written by Jorge Flores and available through Emerald and Doreen records. 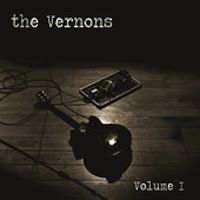 The Aussie blues rock n’ roll band, known as the Vernons, released their debut EP, Volume I, in the US back in September. Consisting of Jonny Nyst (Lead Vocals/Rhythm Guitar), James Nikiforides (Lead Guitar/Backing Vocals), Hugh Tait (Bass Guitar/Backing Vocals), and Elliot Gooch (Drums/Backing Vocals), the Vernons have taken all that was great from the vinyl age to craft a new sound since their conception in mid 2011. From their humble beginnings on Queensland’s Gold Coast, the 4-piece rock n’ roll band quickly found themselves supporting names like Wolfmother & Seasick Steve. With a relentless work ethic, the Vernons have a dominance of their live performance that has developed a cult crowd following of belligerence and debauchery that has ultimately labeled them as one of Australia’s most exciting young blues-rock outfits today. Hit single, “Standing In Line” will catch your attention by the first guitar riff, causing you to dance along with the catchy beat throughout the whole three-minute track. “White Wine” airs more on the relaxed side, which will leave the listener hanging on to each lyric that comes out of Nyst’s mouth, showcasing his smooth and irresistible vocals. To purchase Volume I, please visit iTunes, here http://bit.ly/1dZ7LQ5. Red Light District is a Los Angeles based band with one foot in the future and one in a dark, smokey jazz-age cabaret. Songs are written, performed and recorded by Juliette Angeli & Shok and performed live as a big band. 1920s, 30s, neo-vaudeville, sinister cabaret, set in the future with dusty circus-hop, trip hop presented by the use of voice, accordian, vibraphone, guitar, bass, synthesziers, odd sounds, found percussion, trumpet, cello and chance happenings generally recorded upon first take and songs completed within a few hours from start to finish. Welcome to the world of Electro Swing. 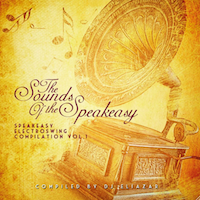 The Speakeasy Electro Swing team was founded in 2010 by DJ’s Eliazar, Don Mescal, and Khalil in Montreal. They have been on the forefront of introducing the Electro Swing sound all across North America, and brought the Speakeasy Electro Swing Vol 1 compilation to fruition last spring to help on the journey. The even better news is that they have a second compilation album which was released in October. Check ou this excellent video package from BESO TV in Montreal.